Fake eyelashes are a great way for women who were not naturally blessed with long beautiful lashes to get the look of long lashes without a lot of hassle … unless of course you don’t know how to apply fake eyelashes. Then it can be quite the hassle. The truth is though, applying fake eyelashes isn’t really all that difficult at all and when you consider the benefit, learning how to apply fake eyelashes can well be worth it. This quick step by step guide to applying fake eyelashes should tell you everything you need to know about the process and help you learn how to apply fake eyelashes the right way. Later this week, we’ll walk you through removing fake eyelashes and how to care for them so you can reuse your falsies time and again. *False eyelash glue will almost always come with the false eyelashes you buy, but don’t assume. Read the package. Some brands will require you to buy lash glue separately. If that is the case, make sure you can find lash glue in a local store or, if you’re willing to wait, online. If finding lash glue is too much trouble, look for a brand that has glue included. Step One: Start of by trimming the lashes to fit your eye. If you have narrow eyes, you may need to trim a fair bit off the edges. 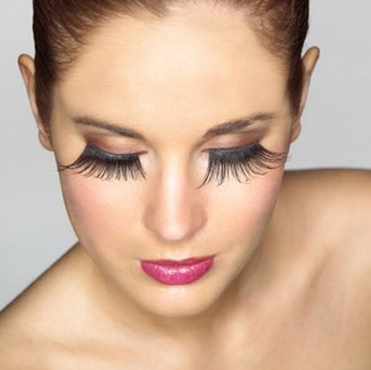 Hold the false lashes up to your eye and determine whether or not they need to be trimmed. If they do, cut them off lash by lash. It will take a little while, especially if a lot needs to be trimmed but it’s far better to take your time than to cut off more than you should because you’re rushing. You can also choose to trim the length of the lashes to give them a more natural look but that is entirely your call. I don’t often wear fake lashes but when I do, I always give them a little length trim to make them look real. Step Two: Once you’re happy with the length of your lashes, put a little bit of lash glue on the back of your hand. Run the false lashes along the glue. This gives them a nice even thin coat – enough to hold them in place on your eye without being too laden with glue. Too much glue will make the lashes heavy, uncomfortable and extremely difficult to remove. Step Three: Start at one edge of the lashes and gently blow along the length of the lashes until you reach the other end. This dries out the glue ever so slightly so it won’t be quite as runny when it comes time to apply them to your eye. This means the application will be a little more comfortable and the lashes will be a bit easier to apply precisely. Step Four: Use tweezers to pick up the lashes and place them as close to your natural lash line as possible. You really want to be as precise as possible here so tweezers are a handy tool to use. Just using your fingers will make it very difficult to really see where the lashes are laying while you’re still applying them and having to remove them and reapply them may mean having to repeat step two. Step Five: You’re going to need to read the directions that came with your lashes or your glue when you get to this step because the time it takes for the glue to dry can vary. For some brands, it’s thirty seconds. Other brands take a minute or more to dry. You want to make sure you know how long it will take for your adhesive to dry. Once you know, press down on the lashes from end to end. You’ll need to use a little pressure but not so much that you’re hurting yourself. Count out the amount of time the package says the adhesive needs to try and add an extra ten count. This ensures the adhesive has more than enough time to dry. Step Six: If you’ve opted to use an eyelash curler, now is the time to use it. If you don’t want to use a curler (I rarely do), go straight to applying your mascara. You’re going to want to place your finger behind the base of your fake lashes as you apply mascara. This will make sure your lashes are bonded together with the false lashes. Once that’s done, take your eyeliner and fill in any spaces between your false and natural lashes. With your eyeliner applied, you’re all done! 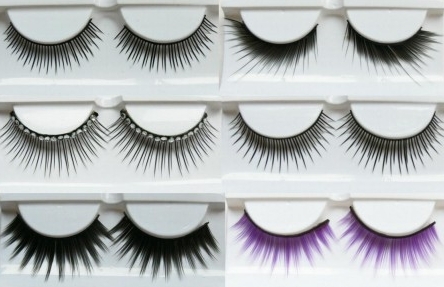 Let’s start off with a few little tips for fake eyelashes I’ve picked up along the way. I’ll lay them out for you in point form as they’re pretty self explanatory. Don’t put your lashes on as soon as the glue is applied. Give it a moment to get tacky for easier application. If you have difficulty using lash applicators, don’t bother with them. I also skip the applicators and use tweezers. You don’t have to use an applicator just because you got one with the lashes. Use as little glue as possible. Too much glue not only makes lashes heavy and uncomfortable as we discussed in the guide but using too much glue also increases the chances of glue getting in your eye. You can use the guide above for applying fake eyelash sets of individual lashes. They work basically the same way. Apply a small amount of mascara to the ends of your fake lashes to make the fake blend with the real a bit better. If you don’t like the idea of putting the lash glue on the back of your hand, use a pin to dot the glue onto the lashes instead. Stick the end of a pin into a cork creating a handle and dip the flat end of the pin into your glue. Dab it onto the lashes, being careful to only use a thin layer. Fake lashes absolutely can be added to the bottom lash line if you want a very bold, dramatic look. Don’t be afraid to try it out. You might not love it but it’s worth experimenting with. Black eyelash glue is a thing! I stumbled upon this stuff at my local drug store and fell in love. 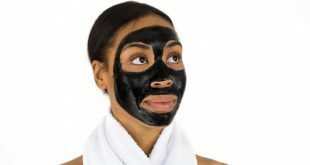 Because it’s black, it blends much more naturally and gives the look of eyeliner. Any mistakes you make can then be fixed with eyeliner much more easily. There are a few important warning I must share with anyone planning on trying out fake eyelashes. Once again, we’ll do them in point form. Never – and I mean never – use someone else’s fake lashes without sanitizing them first. Even then, sharing lashes is generally frowned upon. This is a fantastic way to get an eye infection. If any of your lash glue gets in your eye, immediately remove the lashes and wash out your eye. Lashes that have glitter or other materials on them are trouble. While they look great and all of that, glitter can get in your eye. It probably won’t cause any kind of serious damage but it will be incredibly annoying. Always use clean tools when you’re applying false eyelashes. Your lashes should be clean, your hands should be clean – even your tweezers should be clean. You’re messing around with your eye. You could easily get an infection if you use dirty instruments. I hope this post has armed you with all the information you need to know how to apply fake eyelashes properly and safely but what about removing them? Make sure you come back later this week when we’ll walk you through how to remove fake eyelashes as well as how to wash them and even reuse them.